As an answer to mobile subscribers' woes regarding unwanted and unsolicited text messages/ads from random companies, Globe Telecom as launched a campaign to crack down on these entities. Globe asked the National Telecommunications Commission (NTC) to order Caritas Shield Inc. the payment of the appropriate fines and penalties for sending text spam to Globe subscribers. Globe also asked the NTC to permanently bar Caritas, its agents and employees from sending these spam texts to Globe customers. Other companies whose agents employ marketing strategies that involve sending text spams will be dealt with similarly. Caritas has been sending spam text messages to Globe and TM subscribers, soliciting and enticing them to avail of its health care and insurance products. Text spams coming from Caritas have adversely affected the reputation of the company against its customers and caused “massive irritation” to Globe subscribers, resulting in numerous complaints with its customer service department. 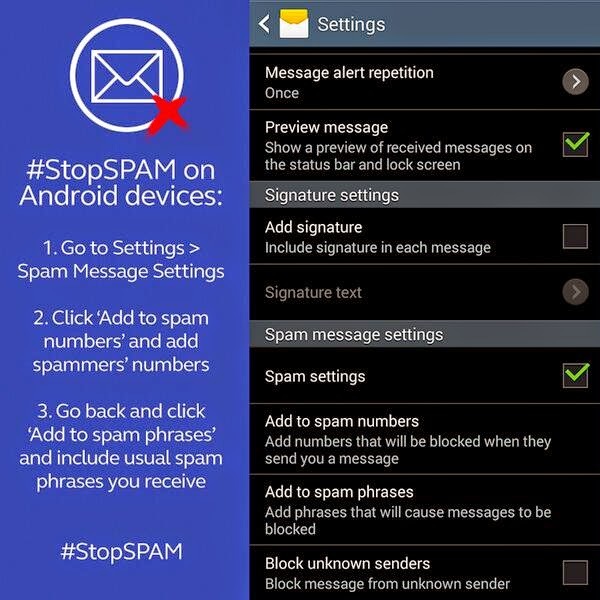 The crackdown versus companies involved in text spams follows an information drive launched by Globe in January this year aimed at educating subscribers on how to deal with irritating text spams. The information drive resulted in a total of 384 mobile numbers deactivated from Globe service in the first four months of the year, 11% higher than the total number of mobile numbers blocked from Globe for the whole of 2013. Oh that's nice that finally subscribers won't be bothered by unsolicited text messages anymore. Nowadays because of the technology evolution the chances of keeping our privacy is getting worst. Anything you can do using computer you can do it as well to smart phone. Spam messages and viruses are hard to prevent. This crackdown is real good news to all subscribers. After all, people didn't get their devices up and running just to get unsolicited text messages. Oh, I hate spam texts, too. Good thing Globe is doing something about it! What a great move by Globe Telecom. Hopefully if not fully ma eradicate these text scams eh, ma-minimize man lang. 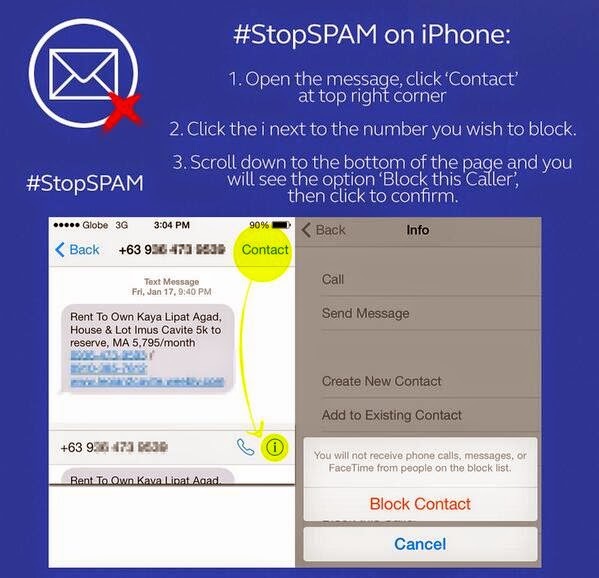 very nice, i guess this is the answer to those spammers who don't have anything to do rather than to fool others. yay, I'm glad I don't receive this kind of unwanted text on my phone. Thanks for sharing! i receive this text also not just once but thrice. ijust delete it after reading. hindi ata nila alam ang spamming na salita. hehe.